Company : Earnest Ventures, Inc.
History : Tom and Dana Lawson established Earnest Ventures, Inc (EVI) in 1995. Based in Glenelg, Maryland, EVI specializes in multi-unit restaurants, national and regional chain work, as well as independent food groups from coast to coast. EVI excels at project management. We complete kitchens on time and within budget. At EVI, we know kitchens. With decades of experience in the industry, we understand that a high-performing kitchen is the key ingredient to a successful restaurant. As your kitchen advocate, we manage project details for you from concept to completion, executing your vision while optimizing your space and meeting your budget. To date, we have completed more than 3,000 kitchens nationwide for dozens of independent, regional and national brands. Business Challenge : EVI had been working with Turn Key Office for several years in various projects to configure QuickBooks Enterprise tools for project costing and to manage complex purchasing needs. The procurement of thousands of components and vendor payments to complete a single project, let alone multiple simultaneous projects in different states coast-to-coast meant Dana was regularly writing between 50-250 checks per week to vendors. With this many checks in circulation to complete its projects, Tom and Dana deemed it necessary to utilize their bank’s Positive Pay service to guard against fraud. With Positive Pay, the bank’s software interfaced directly with QuickBooks to pull a report that fed into the banking system. 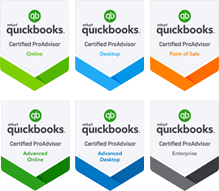 If a check was presented for payment that did not match the file from QuickBooks, the check would be deemed potentially fraudulent and not be honored. Over the years and for various business relationship reasons, EVI desired to change banks to another large regional bank but quickly realized the new bank had no dedicated software to query the QuickBooks file to create a Positive Pay compatible format. The data entry requirement to hand enter each check for verification on the new bank’s website was a deal-breaker. It would take multiple hours every week to hand enter, would be error prone due and deemed prohibitive. Faced with the choice of losing their new banking relationship or losing the security of Positive Pay, Tom and Dana enlisted more Turn Key Office assistance. Solution : We examined the new bank’s requirements for the Positive Pay electronic format and determined that it was vastly different from any standard check report exportable from QuickBooks. We first memorized a report to come as close as possible to the bank’s format as a starting point and exported to Excel. From there, we programmed an excel macro to add, delete, concatenate, add columns, delete columns, delete excess rows, annotate check voids, annotate bank codes necessary until the excel file was in the precise format acceptable for the bank’s software.